AFMA | Academia Militară "Alexandru cel Bun"
Welcome to the site of Military Academy “Alexandru cel Bun” — a unique institution of higher military education in Republic of Moldova. 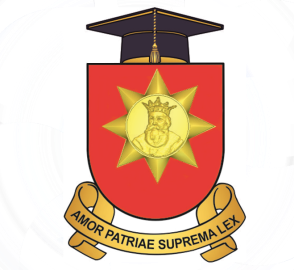 Primary mission of the Military Academy is to provide high quality military higher education by combining education, research and innovation to younger generation that contribute to building a sustainable society and economy based on knowledge and forming a creative and critical personality to the students. Higher education in the Republic of Moldova goes through an era of great changes, required by the implementation of the principles of the Process Bologna, which has led to the restructuration of the higher education. The great challenge that the new concept of education launches to academic education is competitiveness at national and international levels. Structurally, the Military Academy “Alexandru cel Bun” consists of two faculties: Faculty of Military Science and Public Administration Faculty. Also, in its structure areSecurity Centerfor Strategic Studies and Defense, Continuous Training Centerand Linguistic Center. Military Academy has impressive technical-material basis with laboratories, computer aided design classes with Internet connection. Students stay in dormitories. The institution has a dispensary, mess hall, and bathroom. Given the fact that a modern student wants and other cultural activities like sports, entertainment, Military Academy has a constant concern regarding alternating the intellectual and physical work combined with student’s participation in various extracurricular activities. For this purpose Military Academy has developed a modern sports base for students and the employees: gyms, wrestling room, obstacle course, area for volleyball, mini football, basketball, which ensures the teaching process quality. Military Academy is continuously modernizing with new standards in education and research that step by step is disseminating in the process of preparation of future officers. We can say with certainty that in the four years of studying at the Military Academy the young people are formed as professionals in their military specialty.MilitaryAcademygraduates complete successfully military service in the Armed Forces military units and contribute to the formation of new generations of officers stating among intellectuals of Republic of Moldova. We are certain that you’ll have the opportunity to visit our departments, research centers and laboratories to convince yourselves of the features that distinguish us in the specific national university landscape.